Tinworth (1843-1913) was initially apprenticed to his father as a wheelwright, but in 1861 he enrolled at the Lambeth School of Art, where he attended evening classes on modelling and technique and studied under John Sparks and Edwin Bale. In 1864 he was admitted to the Royal Academy Schools. He joined the Royal Doulton Potteries, Lambeth, in 1867, and remained there until his death in 1913. 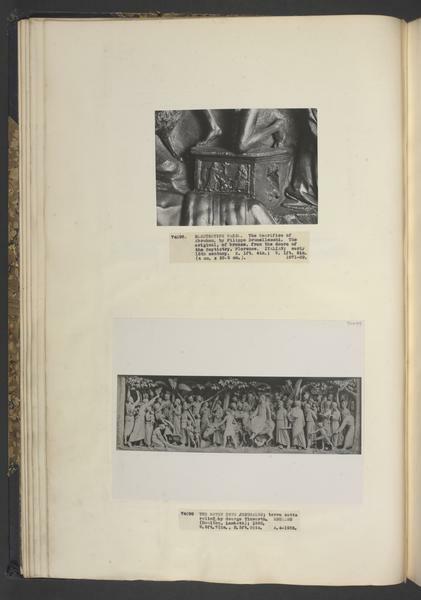 M. H. Spielmann, in his British Sculpture and Sculptors of Today (1901), noted that 'apart from the legitimate designs for pottery and the like, dramatic high-relief panels with numerous figures on a small scale have absorbed the energies of Mr Tinworth'. Tinworth exhibited at the Royal Academy between 1866 and 1885; in 1875 he showed a series of small terracotta panels depicting religious scenes, which were praised by the critic John Ruskin and resulted in his commission for the Crucifixion reredos at York Minster. Though chiefly known for his religious pieces, Tinworth was also commissioned to produce some public statuary, including the terracotta statue of Henry Fawcett in Vauxhall Park; this statue was the gift of Sir Henry Doulton, further illustrating the close ties between Tinworth and the Doulton Potteries. A cabinet of 1872, designed by Charles Bevan and with plaques by Tinworth, is in the Department of Furniture and Woodwork (Mus. no. 412-1872). There is a substantial collection of pottery and sculpture by Tinworth in the Harriman Judd Collection, Los Angeles. 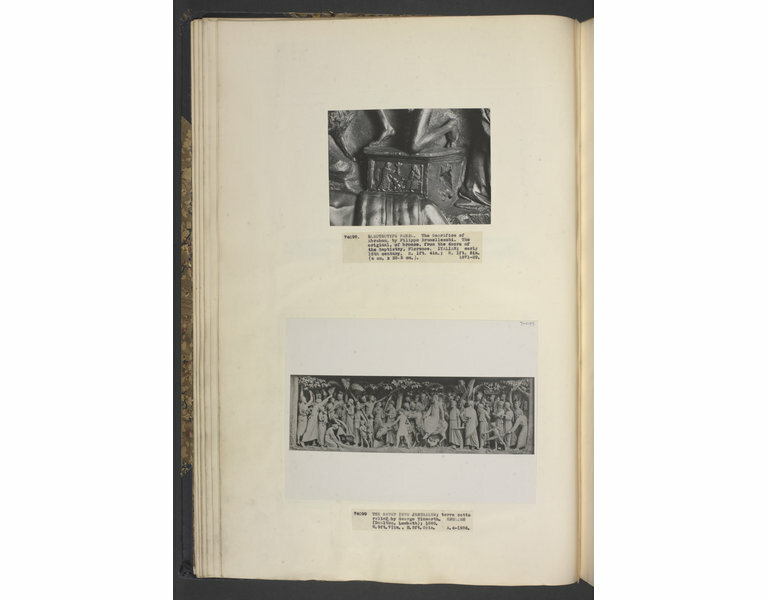 Tinworth's companion relief to the present piece, entitled 'Our Lord on His Way to Crucifixion', was presented to Truro Cathedral by F. Walters Bond in thanks for the safe return of his sons from the South African War. A smaller sketch for the present piece is to be found in the rear wall of the Baptist Church, Wraysbury, Middlesex. Doulton & Co published a number of catalogues entirely devoted to Tinworth's work, an indicator of the esteem in which he was held, as well as the commercial success of his almost exclusively religious work. Relief, terracotta. The entry into Jerusalem. Jesus seated on a donkey is welcomed into Jerusalem by a crowd who wave palm trees and lay them in the road. Inscribed. Given by Messrs. Doulton & Co. Ltd. in 1935 and originally assigned to the Bethnal Green Museum. Transferred to the Circulation Department in 1965, and later to the Sculpture Department. 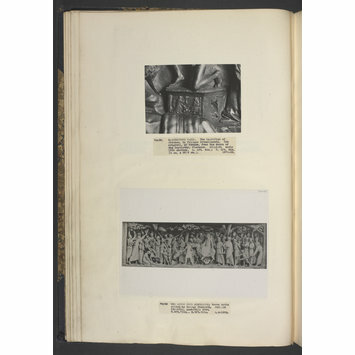 The companion piece entitled, 'Our Lord on His Way to Crucifixion', was presented to Truro Cathedral by F. Walters Bond in thanks for the safe return of his sons from the South African Ward. A smaller sketch for the present piece is to be found in the rear wall of the Baptist Church, Wraysbury, Middlesex.